Dachau served as a prototype and model for other Nazi concentration camps that followed. Its basic organization, camp layout as well as the plan for the buildings were developed by Kommandant Theodor Eicke and were applied to all later camps. He had a separate secure camp near the command center, which consisted of living quarters, administration, and army camps. Eicke himself became the chief inspector for all concentration camps, responsible for molding the others according to his model. During the first year, the camp held about 4,800 prisoners and by 1937 the number had risen to 13,260. Initially the internees consisted primarily of German Communists, Social Democrats, and other political opponents of the Nazi regime. Over time, other groups were also interned at Dachau such as Jehovah’s Witnesses, Roma (Gypsies), and homosexuals, as well as “asocials” and repeat criminals. During the early years relatively few Jews were interned in Dachau and usually because they belonged to one of the above groups or had completed prison sentences after being convicted for violating the Nuremberg Laws of 1935. In early 1937, the SS, using prisoner labor, initiated construction of a large complex of buildings on the grounds of the original camp. Prisoners were forced to do this work, starting with the destruction of the old munitions factory, under terrible conditions. The construction was officially completed in mid-August 1938 and the camp remained essentially unchanged until 1945. Dachau thus remained in operation for the entire period of the Third Reich. The area in Dachau included other SS facilities beside the concentration camp—a leader school of the economic and civil service, the medical school of the SS, etc. The KZ (Konzentrationslager) at that time was called a “protective custody camp,” and occupied less than half of the area of the entire complex. The Dachau camp was a training center for SS concentration camp guards, and the camp’s organization and routine became the model for all Nazi concentration camps. The camp was divided into two sections — the camp area and the crematoria area. The camp area consisted of 32 barracks, including one for clergy imprisoned for opposing the Nazi regime and one reserved for medical experiments. The camp administration was located in the gatehouse at the main entrance. The camp area had a group of support buildings, containing the kitchen, laundry, showers, and workshops, as well as a prison block (Bunker). The courtyard between the prison and the central kitchen was used for the summary execution of prisoners. An electrified barbed-wire fence, a ditch, and a wall with seven guard towers surrounded the camp. In 1942, the crematorium area was constructed next to the main camp. It included the old crematorium and the new crematorium (Barrack X) with a gas chamber. There is no credible evidence that the gas chamber in Barrack X was used to murder human beings. Instead, prisoners underwent “selection”; those who were judged too sick or weak to continue working were sent to the Hartheim “euthanasia” killing center near Linz,Austria. Several thousand Dachau prisoners were murdered at Hartheim. Further, the SS used the firing range and the gallows in the crematoria area as killing sites for prisoners. 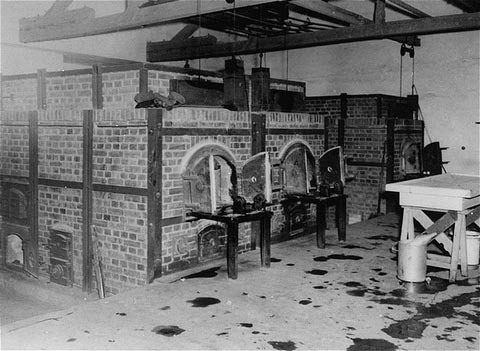 In Dachau, as in other Nazi camps, German physicians performed medical experiments on prisoners, including high-altitude experiments using a decompression chamber, malaria and tuberculosis experiments, hypothermia experiments, and experiments testing new medications. Prisoners were also forced to test methods of making seawater potable and of halting excessive bleeding. Hundreds of prisoners died or were permanently crippled as a result of these experiments. Dachau prisoners were used as forced laborers. At first, they were employed in the operation of the camp, in various construction projects, and in small handicraft industries established in the camp. Prisoners built roads, worked in gravel pits, and drained marshes. During the war, forced labor utilizing concentration camp prisoners became increasingly important to German armaments production. 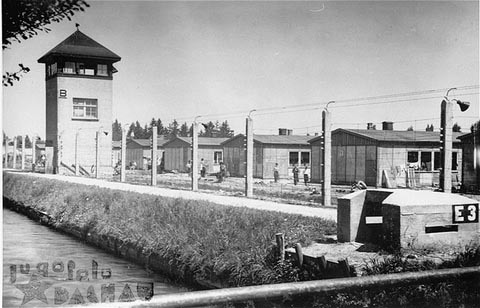 Dachau also served as the central camp for Christian religious prisoners. According to records of the Roman Catholic Church, at least 3,000 religious, deacons, priests, and bishops were imprisoned there. In August 1944 a women’s camp opened inside Dachau. Its first shipment of women came from . Only 19 women guards served at Dachau, most of them until liberation. In the last months of the war, the conditions at Dachau became even worse. As Allied forces advanced toward Germany, the Germans began to move prisoners in concentration camps near the front to more centrally located camps. They hoped to prevent the of large numbers of prisoners. Transports from the evacuated camps arrived continuously at Dachau. After days of travel with little or no food or water, the prisoners arrived weak and exhausted, often near death. Typhus epidemics became a serious problem as a result of overcrowding, poor sanitary conditions, insufficient provisions, and the weakened state of the prisoners. Owing to continual new transportations from the front, the camp was constantly overcrowded and the hygiene conditions were beneath human dignity. Starting from the end of 1944 up to the day of liberation, 15,000 people died, about half of all victims in KZ Dachau. Five hundred Soviet POWs were executed by firing squad. As Allied forces advanced toward Germany, the Germans began to more prisoners from concentration camps near the front to prevent the liberation of large numbers of prisoners. Transports from the evacuated camps arrived continuously at Dachau, resulting in a dramatic deterioration of conditions. After days of travel, with little or no food or water, the prisoners arrived weak and exhausted, near death. Typhus epidemics became a serious problem due to overcrowding, poor sanitary conditions, and the weakened state of the prisoners. On April 26, 1945, as American forces approached, there were 67,665 registered prisoners in Dachau and its subcamps. Of these, 43,350 were categorized as political prisoners, while 22,100 were Jews, with the remainder falling into various other categories. Starting that day, the Germans forced more than 7,000 prisoners, mostly Jews, on a death march from Dachau to Tegernsee far to the south. During the death march, the Germans shot anyone who could no longer continue; many also died of hunger, cold, or exhaustion. 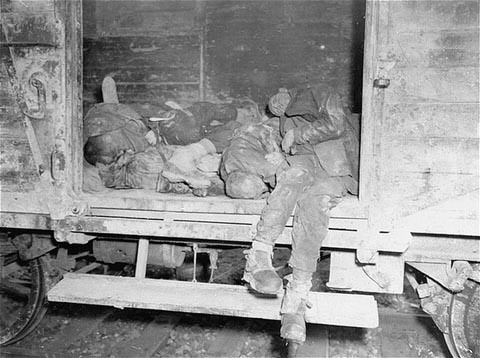 As they neared the camp, they found more than 30 railroad cars filled with bodies brought to Dachau, all in an advanced state of decomposition. In early May 1945, American forces liberated the prisoners who had been sent on the death march. A tablet at the camp commemorates the liberation of Dachau by the 42nd Infantry Division of the U.S. Seventh Army on 29 April 1945. Other claim that the first forces to enter the main camp were a battalion of the 157th Infantry Regiment of the 45th Infantry Division commanded by Felix L. Sparks. 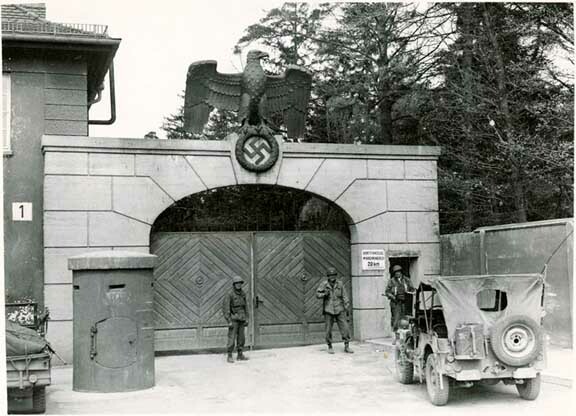 There is an on-going disagreement as to which division, the 42nd or the 45th, actually liberated Dachau because they seem to have approached by different routes and by the American Army’s definition, anyone arriving at such a camp within 48 hours was a liberator. General Patton visited the Buchenwald camp after it was liberated, but not Dachau. The number of prisoners incarcerated in Dachau between 1933 and 1945 exceeded 188,000. The number of prisoners who died in the camp and the subcamps between January 1940 and May 1945 was at least 28,000, to which must be added those who perished there between 1933 and the end of 1939. It is unlikely that the total number of victims who died in Dachau will ever be known.